The tower casing designed with fiberglass reinforced plastic is known as frp cooling tower. It is extremely corrosion resistant. It offers enough constructional power to stand firm against vibration and high wind velocity. Casing designed in sections properly matches at aerodynamic contours and works, which are accomplished for best performance. If you want to buy the best cooling tower, you need to visit the best and reliable frp cooling tower manufacturer. The frp cooling towers india is designed with fiberglass reinforced plastic and highly resistant to corrosion. The fiberglass reinforced plastic is a blended material. The fibers used in the blend are carbon or aramid, glass, wood, paper and more. general and preferable constructional material for small cooling towers. While comparing to the reinforced concrete, FRP demands only less maintenance and offers low costs. However, we can still encounter the use of reinforced concrete in large constructions. The FRP cooling tower remains a best fit to construction industries, aerospace, marine industriesand automotive industries. 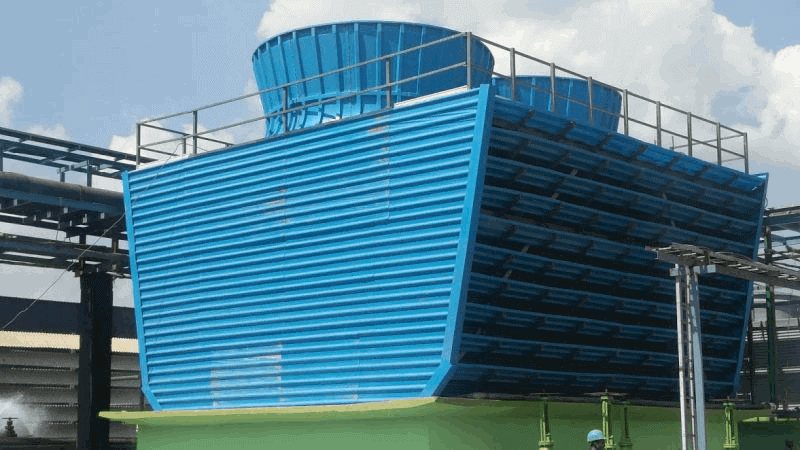 You can find different types of frp cooling towers to choose from, which includes frp round cooling tower, draft cooling tower, frp square cooling tower and more. All you ought to do is to choose the best one for you.